Visit our shop page for a lovely selection of women's cycle clothing. This is currently a small collection of key garments but as our business grows we intend to broaden the range of items we have to offer. Our aim is to create a one-stop central resource (like a cycle hub) for all things bicycle related with our primary focus being the female cyclist. We are passionate about cycling and want to help build on the currently growing momentum for cycling in the UK by offering encouragement, support, guidance, advice, and women specific cyclewear (the spokes of our hub) to women and girls who want to get into riding a bike. We're interested in seeing more ladies on bikes right from the grass roots of commuting or riding for leisure right up to the elite racing groups. 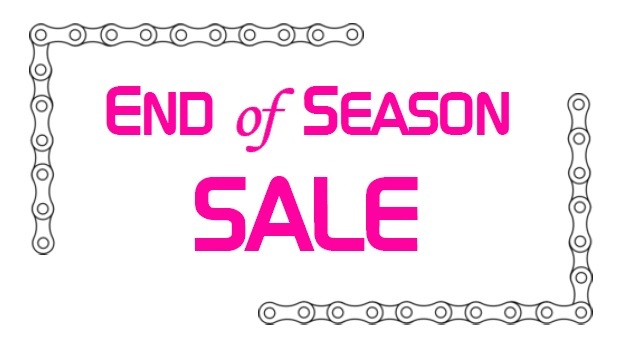 October marks the start of our end of season sale. We have a number of items to offer at much reduced prices and with free delivery. See our shop page for current offerings. Keep an eye on our website to check out what we have to offer. Bike Fitting Session now available. Based in Burbage, Leicestershire. Click here for more details. This is where we share out thoughts and experiences of day to day cycling. Some days it may sound like verbal garbage, other days you may find something useful!